They say pro wrestling is a soap opera for men, and today's WrestleMania moment is probably one of the more prominent reasons why. Forget the John Cena marriage proposal to Nikki Bella. 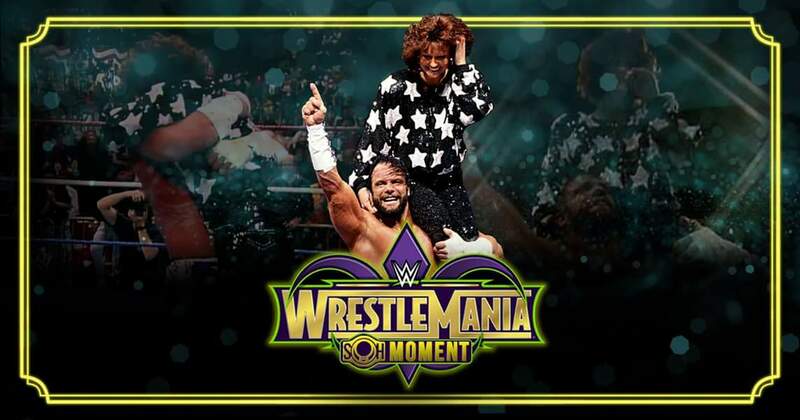 When you talk about romance and relationships at 'Mania, there's no more iconic moment than the emotional reunion of "Macho Man" Randy Savage and the lovely Miss Elizabeth at WrestleMania 7. Context for all you young 'uns: before there was a Triple H/Stephanie McMahon, Edge/Lita, or what else have you, the two were the OG Power Couple of professional wrestling. With the classy Elizabeth by his side, Savage rode his signature Macho Madness to a WWF World Championship and a memorable reign as Intercontinental Champion. Now, we're not going to pretend that the Macho Man character was the perfect partner. Savage's real-life paranoia and insane jealousy were the very crux of how the relationship dynamic between the two was. Here was Elizabeth, loving, giving, and supportive, everyone's best gal—but looming over her would always be the controlling, domineering Macho Man, a man who'd snap if he even imagined her striking up a conversation with any other male. But perhaps that was why their relationship was so magnetic. Fans adored Elizabeth; she was their queen. And for every moment that Savage would scare her, control her, or abuse her, fandom rallied even tighter around the couple—not in approval of his behavior, but to protect her. But the Macho Man wanted more. 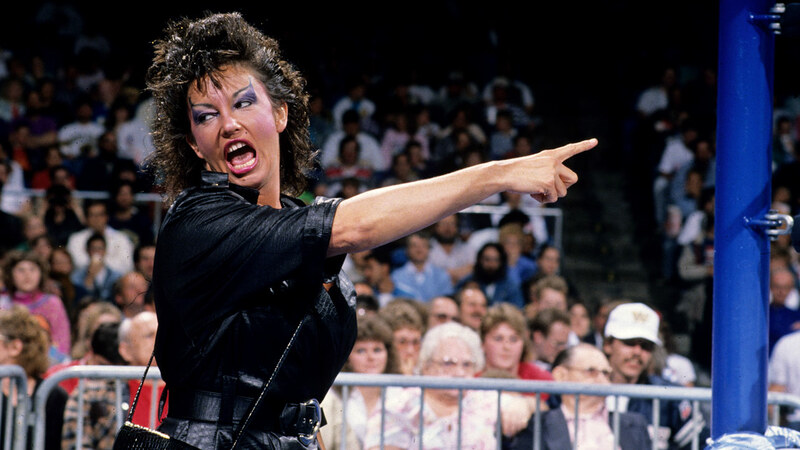 Shortly after losing his initial WWF Championship to Hulk Hogan at WrestleMania V—the man who, ironically, was the biggest target for all of his jealousy—he dumped her in favor of the wild, screeching Sensational Sherri. This was a massive slap in the face for Elizabeth, who, for better or for worse, had always stood her ground by her man. Savage grew even more manic with Sherri by his side, costing the Ultimate Warrior his WWF Championship against Sgt. Slaughter at Royal Rumble 1991. Things finally got heated enough between the two that they agreed to a Loser-Leaves-Town Match at WrestleMania VII. We won't get into too many details of the match itself—Warrior kicked out after taking five Big Elbows, and ended up pinning Savage with a single foot after a series of spears—but its aftermath. Sherri was furious over having lost her meal ticket, and took her anger out on the fallen Randy Savage. Cut to Elizabeth—who had slowly sunk out of the limelight since her break-up with him, but had been shown watching in the audience as a lowly ticket-holder—leaping over the barrier, and coming to the aid of her former beau. You're heartless if you aren't moved by the drama that followed: Savage initially thinking it was Elizabeth who attacked him after the loss, only to come to the realization that it was her, the woman he'd abused, caged, and dumped, who ultimately saved him. When the two leapt into each other's arms—Stockholm Syndrome be damned—and he boosted her into the air on his shoulder in their trademark power pose, the audience in attendance were in tears. This was the Golden Lovers reunion told nearly three decades earlier. Check it out. The culmination of an epic storyline that was years in the making was absolutely beautiful to see. The two would go on to get married in kayfabe at SummerSlam later that year (even if they were, in fact, a long-married couple at that point) in the classic Match Made In Heaven that led to Savage's eventual reinstatement into the company and a red-hot program with Jake "The Snake" Roberts, but that's a story for another day. Sadly, there was no fairy-tale ending for the WWF's true First Couple; they'd end up getting a real-life divorce not long after all of this. Elizabeth would die of a drug and alcohol overdose in 2003, while Savage would die in a car accident in 2011. But savor this moment for what it was: A genuine, authentic, all-too-human narrative of the story of love and forgiveness, and part of what makes WrestleMania the true Showcase of the Immortals.